Isaiah Quintabe—IQ—can’t get over the death of his brother, Marcus. It’s been eight years, and it’s still fresh and raw, the images in his mind of Marcus being hit by a car right in front of him, the car driving off as Marcus lie in the street bleeding, dying. But Isaiah found the car, all these years later. He saw the damage, the trash left in the car: cigarette butts, beer cans, sandwich wrappers, a receipt. But what is just trash to most are clues to Isaiah, and now he knows. The seemingly random clues in a seemingly random hit and run was anything but; Marcus was murdered, Isaiah would prove it. Isaiah’s investigation reveals things about Marcus and his death Isaiah would have been happy not knowing. Was he dealing drugs? Involved in gang activity? Or was he framed? How could Marcus be anything but the moral compass that Isaiah had relied on? Meanwhile, Isaiah got a call from Sarita. Now a lawyer in Century City, he hasn’t seen or heard from her since before Marcus died. She and Marcus were a couple, The One, Marcus had said. But Sarita disappeared shortly after Marcus died. Now her sister, Janine, was in trouble in Las Vegas and needed Isaiah’s help. 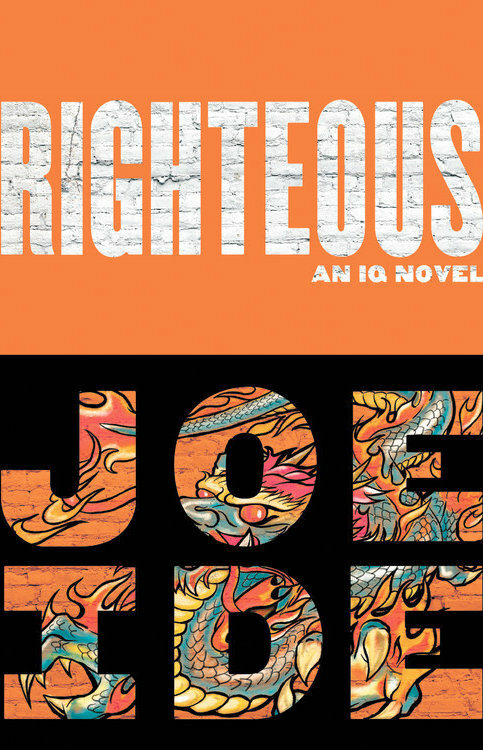 Righteous is the second book by Joe Ide featuring Isaiah Quintabe. IQ makes his living as a private detective of sorts, helping people in his poverty-stricken neighborhood. He is unlicensed and unconventional, sometimes compensated with favors or gifts instead of money his clients don’t have. IQ uses his intellect to see what others can’t or won’t, and stay a few steps ahead of his adversaries. 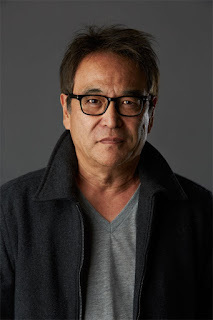 Mr. Ide takes readers on a fast-paced ride that includes cases that span two cities, two violent gangs, gambling, loan sharking, murder, kidnapping, human trafficking, and more, all the while developing an intelligent but sometimes anxious, awkward, and confused character. Parts of the book have a caper-like feel to it, demonstrated when both cases come together in a surprise ending that tests Isaiah’s relationship with his friend and partner and risks all that they have worked for. Ide, Joe. Righteous, Mulholland Books, October 17, 2017. 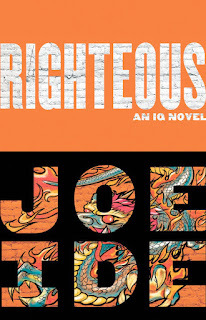 A copy of Righteous was provided to The Thirty Year Itch by the publisher via Netgalley.com. No compensation was provided for this review.